Our program allows for us to break up the day to provide our students with more time in subjects they need the most. Our teachers have a say in the curriculum they teach and tailor learning to meet specific needs. Engineering or Math (STEM) education, performing arts, college preparation, career readiness, character and leadership development civic engagement, global awareness— just to name a few. Our project based teaching styles allows our students to acquire a deeper knowledge of the subject through active exploration of real world challenges. Our Primary Community consists of Kindergarten through 2nd grade students. These emerging readers follow a class rotation, which means our primary students attend different classes for specialized instruction in one content area. The instruction of our qualified teachers are guided by the Texas Essential Knowledge and Skills (TEKS) and accompanied by the use of centers, hands-on activities, and differentiated instruction that keep our students engaged and keep learning fun. These strategies in tandem with our McGraw-Hill Texas Treasures curriculum, and the TEKS (Texas Essential Knowledge and Skills) support our TPS students as they begin to mature from emergent to fluent and lifelong readers and writers. Through the TEKS, our desire is to achieve educational excellence through skills for mathematics and is guided by the college and career readiness standards. 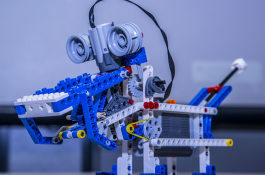 Proven instructional strategies with Pearson’s enVision 2.0 Texas curriculum emphasizes content connection and invite in-depth student exploration on major topics. Math manipulatives and hands-on centers provide students the opportunity to make math come alive in a way that is relatable to their world view. Texas Preparatory School students are encouraged to explore the world of engineers and scientists. Our science teachers provide students the opportunity to investigate and explore their world on a daily basis. Our Primary Science classes include planning and safely implementing classroom and outdoor investigations using scientific processes, including inquiry methods, analyzing information, making informed decisions, and using tools to collect and record information, while addressing the major concepts and vocabulary, in the context of physical, earth, and life sciences. Grades Kindergarten – 2nd grade are enrolled in social studies courses. Students will engage in in-depth research, learn to become productive, caring and responsible citizens, and gain knowledge in culturally competence and socially awareness of other cultures. Pearson’s My World Social Studies curriculum utilizes storytelling to bring Social Studies content to life and expose students to various cultures, civil responsibilities, and key community members. Our school day ends with an hour of Raz-Kids & Reading A-Z to give students the opportunity to be rewarded for growth in reading fluency, reading comprehension, and vocabulary. Our Intermediate Community consists of 3rd- 6th grade students. Our intermediate teachers hold our most mature students to high academic standards and expectations. Proven instructional strategies are implemented to make learning fun as these students prepare for the State of Texas Assessment of Academic Readiness (STAAR). 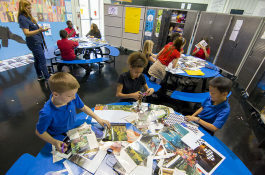 Unique to our campus, Boys & Girls Clubs programs are integrated into the school day to provide an emphasis on the Arts and Character and Leadership development. Our intermediate ELA teacher immerses our students in a language-rich environment and exposes them to hands-on activities to ensure that they are proficient in areas of reading comprehension, fluency, vocabulary, spelling, and writing. Proven instructional strategies along with McGraw Hill’s Texas Treasures curriculum provides exposure to high quality literature, explicit instruction, and ample practice to ensure that students grow as lifelong readers and writers. On any given day, a visitor could witness costumes, mystery bags, foldables, or vocabulary games in our intermediate English Language Arts classroom. Collaborative groups, small group instruction, and learning centers filled with math games and manipulatives are all the successful components of our intermediate math classes. 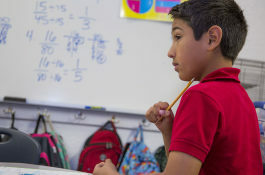 Our math teachers combines research-based instructional strategies with Pearson’s enVision 2.0 Texas curriculum to provide students with a unique and fun learning environment. The 16-17 school year will feature the introduction of a classroom economy program that is sure to enhance learning by teaching students to manage financial resources effectively for lifetime financial security. Texas Preparatory School’s intermediate science teacher brings science to life! Pearson’s Texas Interactive Science curriculum offers students engaging, hands-on learning experiences through deep investigation into four categories: Matter & Energy; Force, Motion & Energy; Organisms & Environment; Earth & Space. Science at this level includes outdoor investigations using scientific processes and addressing the major concepts and vocabulary, in the context of physical, earth, and life sciences. The use of high-yield learning strategies to provide fun and challenging activities is an essential component of what we do at Texas Preparatory School. Tuesday and Thursday afternoons are devoted to providing intervention and enrichment to those students who need assistance meeting standards. The High-Yield Learning opportunity utilizes Pearson Success Maker along with explicit instruction to small groups in order to ensure that all student needs are met in a fun and positive environment. Want to Enroll in the best Preparatory School in Texas? Click the button!